You look so chic and feminine! I like your belt and shoes a lot! You look gorgeous. 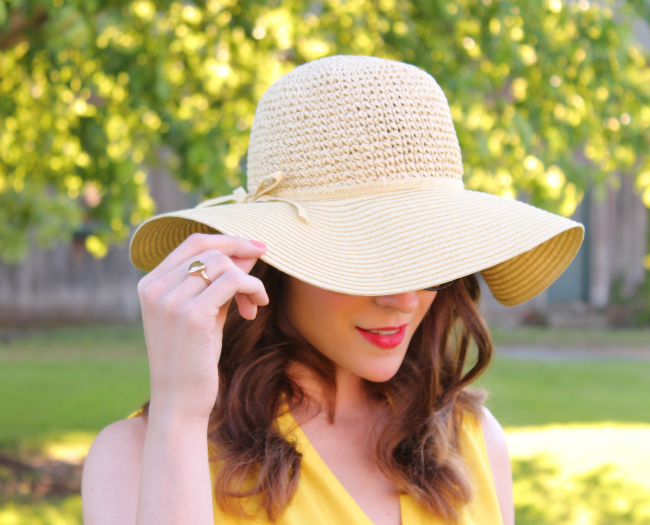 Summer floppy hats are a must and this yellow dress is so striking on you! What an amazing blog. I love how you totally recreate something that could be so expensive – but make it really doable for all of us non-supastas out there. The yellow of this dress is gorgeous, and I can't believe how it matches the yellow of the light! How perfect. And the red lip takes it from being overly youthful to simply sophisticated. You look amazing. 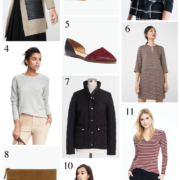 Hats are a very feminine accessory that shouldn't miss from any woman's wardrobe. For myself I prefer a bigger one. You look very good in yellow. SO pretty Kim! the ring is adorable! Loving your outfit. 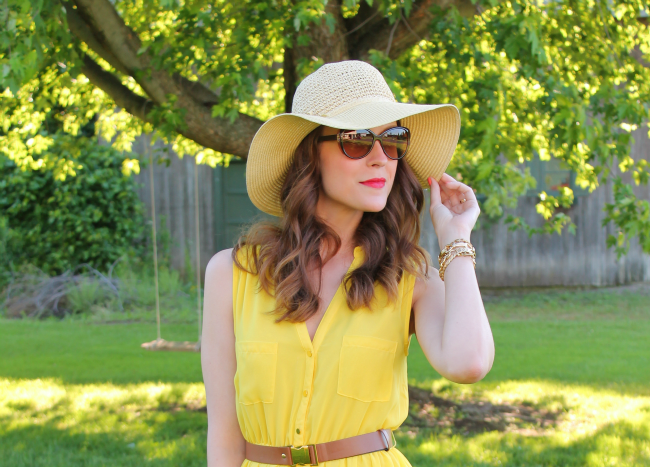 The yellow looks amazing on you and I loving floppy hats with sun dresses. So cute. your hat is fabulous! and it goes so well w/ a yellow summer dress! Gorgeous!! This color looks amazing on you and you just scream summer! Loving that heart ring as well! YES! The bright ddress + bold lip, love. And, adoring your heart ring. Such a fun $2! find. So simple and beautiful. 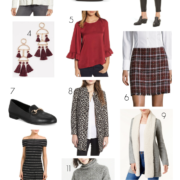 I love this outfit! Lovely lovely outfit! Really beautiful. Oh how I love that yellow dress! It's the perfect summer dress! So adorable and bright! Love it! I love this yellow dress – it's so simple and fun for the summer. I bought the same dress and was so excited to find the perfect sunny dress….when I got home, I noticed a big oil looking stain in it. Of course, they didn't have any more in stock when I returned it. I wanted that yellow dress but couldn't find it in my size! I love it on you!!! Especially paired with the red lips! I love this dress! You look great in yellow and the hat is such a great addition to the outfit. Very sophisticated. Love the dress, I am keen on anything with yellow these days. GREAT look! It's so easy breezy and fun! Pretty outfit, I love that sunny yellow. Your hair is gorgeous too! You look so pretty in yellow! The color is gorgeous on your skin tone! Have a great weekend. You look incredibly beautifully. i love your sandals, i have the similar ones too but they are from mango. perfect look, perfect dress and the hats adds that fashionable finish!! i love people who really take advantage of things that are beautiful, yet affordable and you do just that! i love this look 🙂 it is perfect for summertime and you are all too beautiful! Cute dress! I've been looking for a good yellow dress for months! I cannot handle wearing yellow with my uber pale skin but you rocked it! This dress is so pretty! Love it with the belt and the floppy hat. Great look!